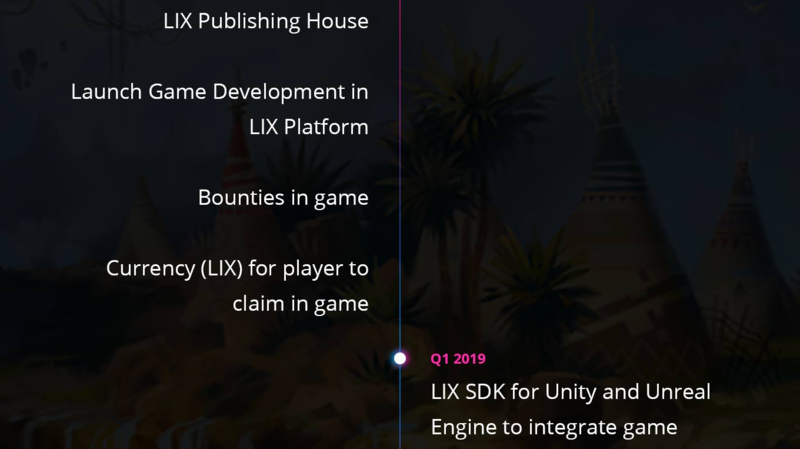 We will be talking about new project called LIX. This is a project powered by block chain technology. The project is focused on providing people better usage of crypto currency. Now can your game ideas become a reality. Gaming industry is taking more and more gamers and time focusing of its progress and innovation, with millions of dollars worth of revenues, millions of viewers and various prizes. It is a very large industry and it is getting bigger every year. There are still many problems to solve, and there is also a lot of potential for its growth and improvement. On this new platform there is enough place so everyone could join and and be rewarded for their work. They all: gamers, developers and advertisers as well can improve platform and get also benefit from it, as well as platform will have benefit also. 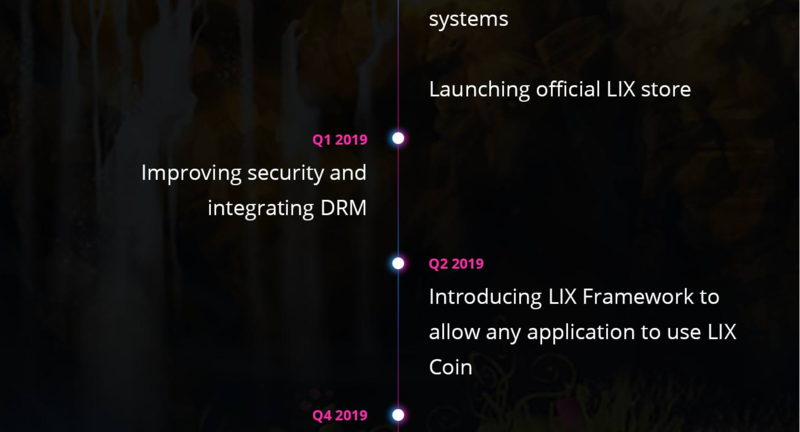 LIX will solve the problem with lack of transparency and it will bring back the trust in an old system, which people lost. It is not only a platform for gaming and the joy itself, it brings also opportunity of making money to the gamers. 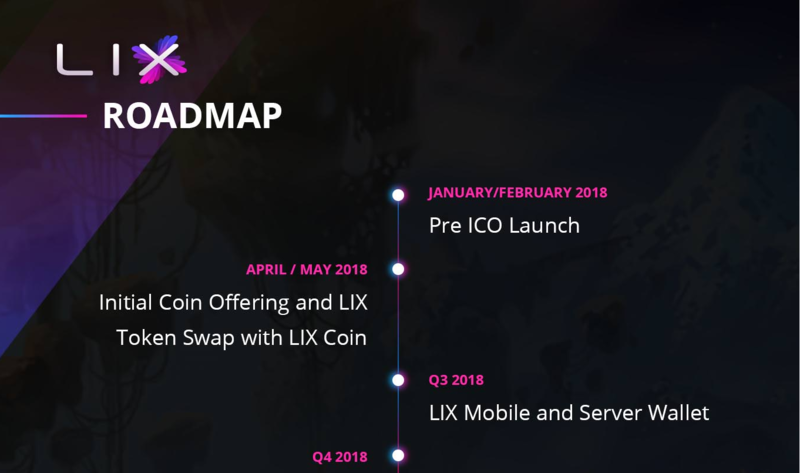 LIX is platform that is just a perfect blend of gaming industry and its development with crypto currencies. The platform is easy to use, even for those inexperienced and beginners. 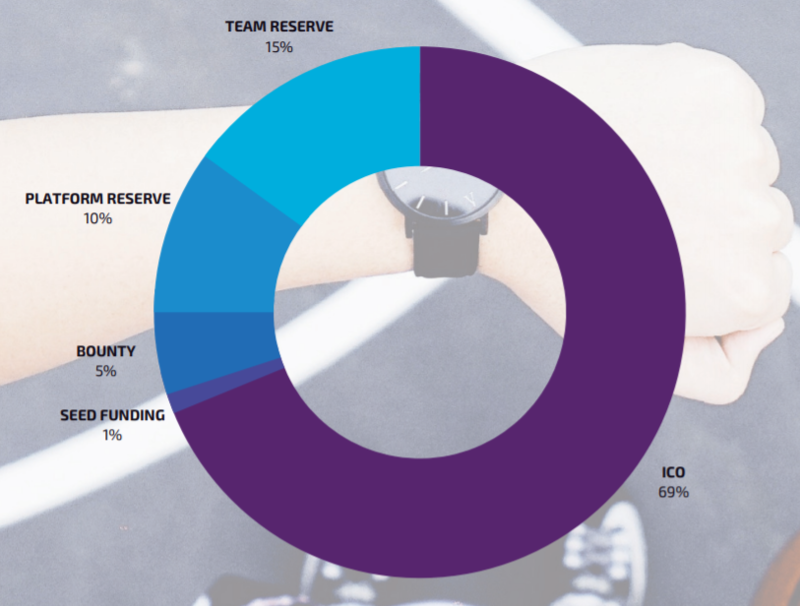 The process contains a few easy steps, and after you sign up, you issue tokens on platform, submit properly documentation, sell tokens and than wait for collection of funding your game. If you gain success and people got interested in your idea, you can develop you dream project. It can’t be easier than that. It’s simplicity is what the users are been waiting for. It will bring a revolutionary things in these field. That all is possible with a block chain technology. If you are beginner and you didn’t have a chance to join this world of crypto currencies, now is your opportunity. LIX is what we need, to support us and give us a guidance through that journey. LIX is a project made by people who are highly competent. People who have with their knowledge and with a help of their people in team succeeded to make it happen. Team leaders are Yogesh Panjabi, Gaitchs Gangmei, Alessandro Sanino and Adarsh Singh. In the team with great block chain developers, marketing agents, SEM experts, and more others. There will be 2 sales, pre sale and the main crowd sale. There will be total of 100 000 000 LIX tokens in circulation and in public sale will be 69% of all LIX tokens. There will be great bonuses for the one who are joining first. Initial price is rising, so you better join early. Crowd sale is one way to earn tokens, but there are so many more. You can earn yourself tokens by working on the marketing campaigns such as social media campaigns, various translations and signature campaigns.